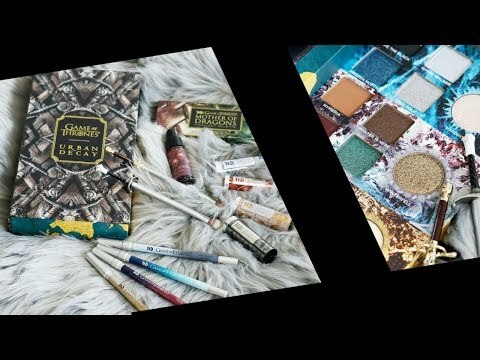 Best Cool Toned Eyeshadow Palettes - A Palette for Every Budget! Hey friends, it’s good to be back! Today I’m bringing you the best cool toned eyeshadow palettes. I’ve got drugstore options, indie options, vegan options and more! And of course it’s all cruelty free! 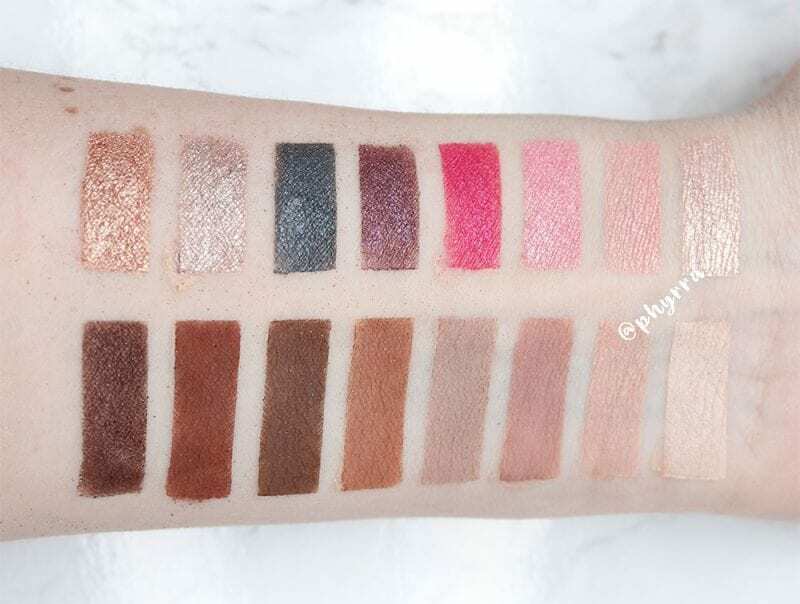 I’ve swatched all the palettes for you on my fair skin. I love cool toned eyeshadows but it’s very difficult to find 100% cool toned palettes, so I’m happy to have 11 options to share with you. Some of these are currently on sale at Ulta. Too Faced, Cargo, Flower Beauty, Urban Decay and Lunatick Cosmetic Labs are PR samples, everything else purchased by me. 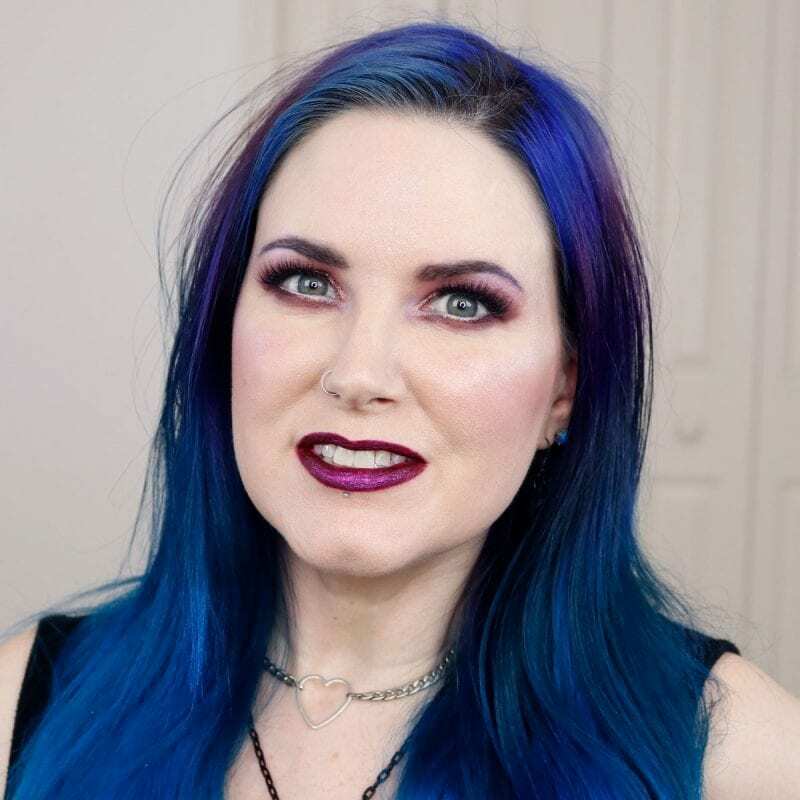 This is the cruelty-free makeup look that I wore in the video. Be sure to watch the video! Viseart Cool Mattes 2 eyeshadow palette is the top row and Cool Mattes 1 eyeshadow palette is the bottom row. These are the best cool toned eyeshadow palettes at the luxury price point. Lunatick Cosmetic Labs Vampira eyeshadow palette is the top row and Smashbox Covershot Prism eyeshadow palette is the bottom row. The 3 ‘extra’ swatches at the beginning of Vampira are what Too Faced Shadow Insurance looks like on my arm. 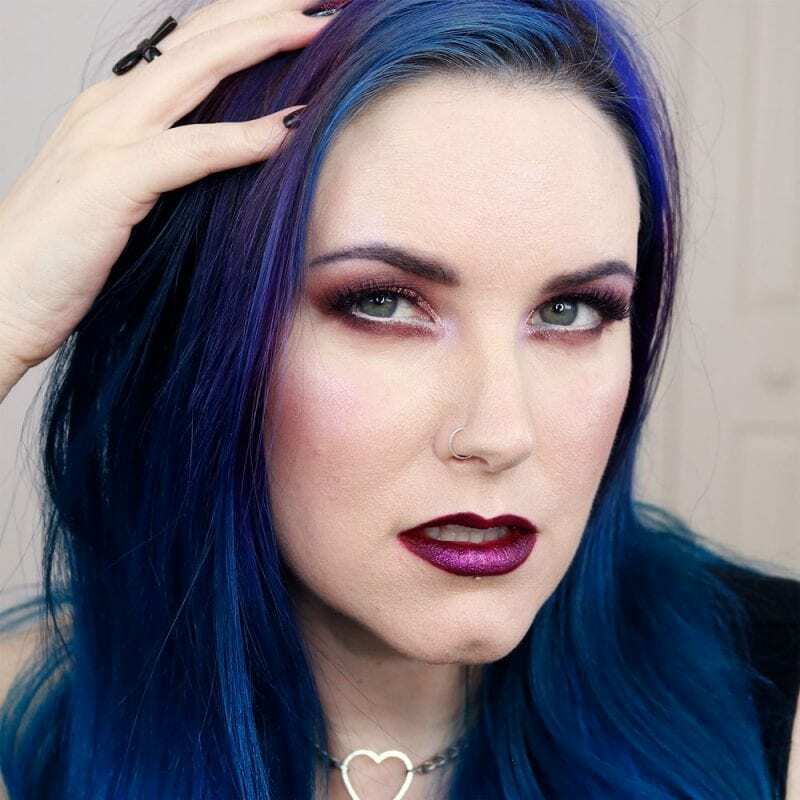 Vampira is a vegan cool toned eyeshadow palette. Flower Beauty Cool Natural eyeshadow palette is the top row and Nyx Perfect Filter Gloomy Days eyeshadow palette is the bottom row. 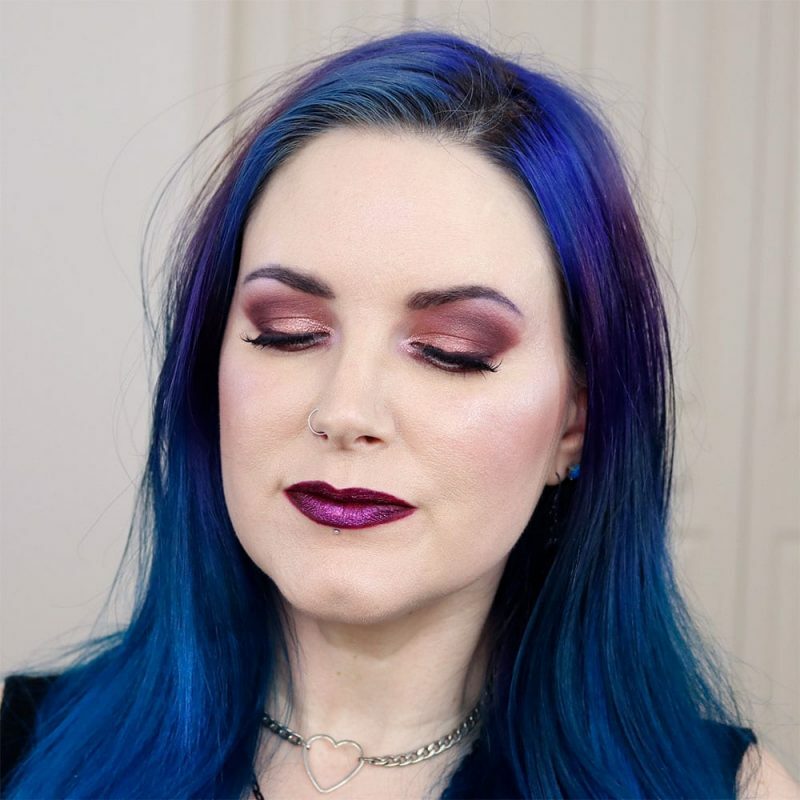 Gloomy Days is one of the best cool toned eyeshadow palettes ever! These are both excellent cool toned eyeshadow palettes at the drugstore price point. 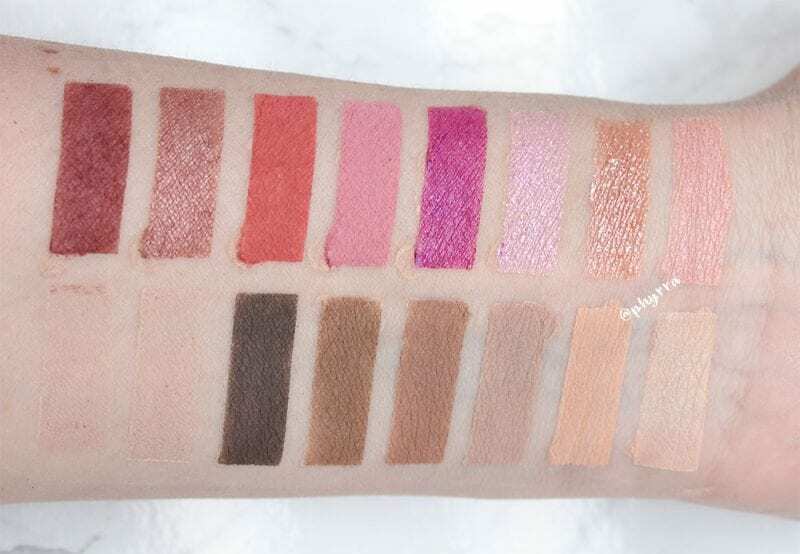 Lime Crime Venus III eyeshadow palette swatches are on top and Urban Decay Naked 2 Basics palette swatches are on bottom. Venus III is a vegan cool toned eyeshadow palette. Because it will come up, I felt that Lime Crime was shady for years (suing bloggers, harassing Temptalia, stealing photos, sending fans to harass people, dressing up like Hitler, etc), but they’ve worked to keep out of drama for the past year or so. When it was announced that Doe Deere would step back from the company, I decided I felt comfortable enough to try buying a product. Also note, I believe the Urban Decay Naked 2 Palette is about half cool toned, but that’s not one I own. This is the Too Faced Chocolate Bon Bons palette. 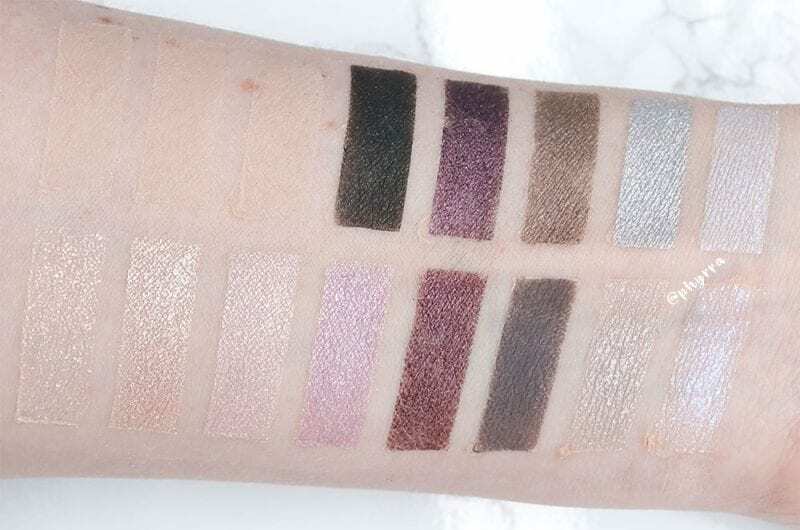 This is the Cargo HD Gradient Eyeshadow Palette. It’s all cool toned except for the top row and the bottom middle. This is the Kat Von D Beauty Smoke Quad. I’m not sure if this has been discontinued but it shows as available and on sale at Sephora’s website. It’s an excellent tiny cool toned eyeshadow palette. Because I’m sure it will come up… I am pro-vaccination and think anti-vaxxers are dangerous because they put people with lower immunity at risk (and I have people in my family who cannot get vaccinations). I always get my flu shot every year and every other vaccination that my doctor recommends. I think this is yet again another dumb thing that Kat Von D said without thinking about the consequences, much like when she said everyone who wasn’t vegan was a murderer (with the Cecil the lion stuff). All of this stuff with KVD happened while I was in hospice with my Grandma (and she passed away) and a ton of people kept reaching out to ask my thoughts on it, so there you go. Read why I don’t believe shaming people is effective and why everyone can’t be vegan. 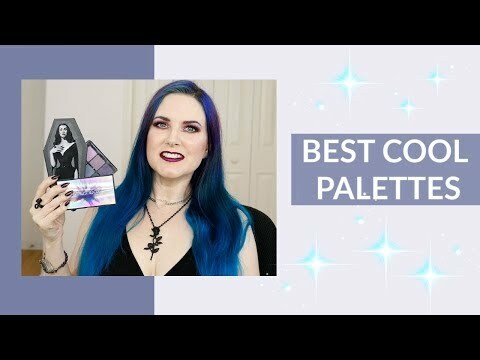 In the video I talk about why I think these are the best cool toned eyeshadow palettes. I have the palettes listed below from the most amount of product to the least amount of product. (v) denotes vegan. 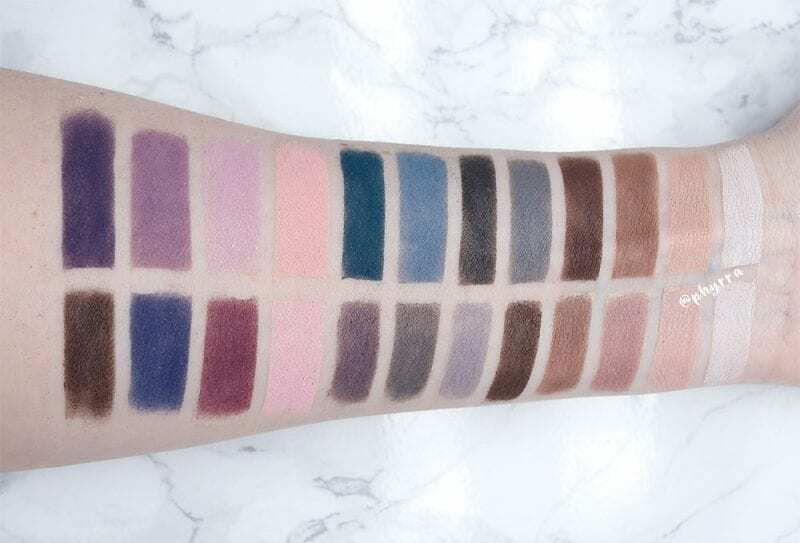 For the best drugstore cool toned eyeshadow palette option, choose Nyx Gloomy Days, which has twice the amount of product as the Flower Beauty. For the best luxury option, choose one of the Viseart Cool Mattes palettes, which has a whopping .84 oz of product. For the best mid end cool toned palette, choose Lime Crime Venus III, which offers excellent value for the price and a ton of product at .56 oz. Have you entered to win this tropical vacation getaway? What are your favorite cool toned makeup products? Thank you for all the hard work that must’ve gone into creating this article. I appreciate the dedication to detail! You look lovely, also…hair, eye look, and clothes all worked so well together! I am loving that NYX palette! Cool toned eye shadow palettes with shades I like are hard to find so I really appreciate this post! I ordered ABH Norvina and I hope it has lots of cool tones. These are great picks! And I LOVE your necklace! THESE ARE GORGEOUS!!!!!! 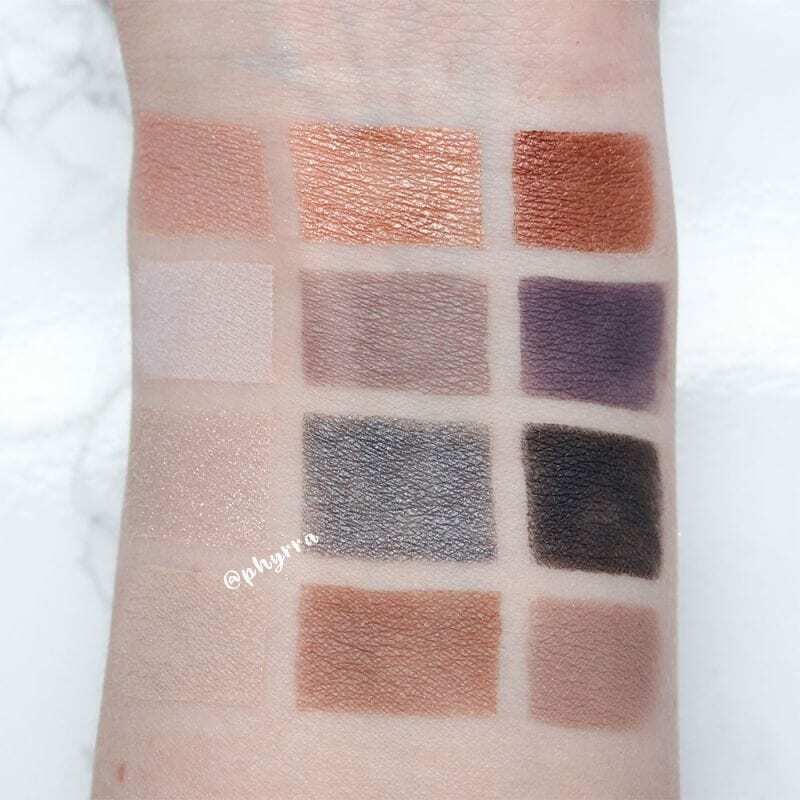 I am always on the lookout for cool-toned palettes for my cool-toned skin! Bookmarking this page! 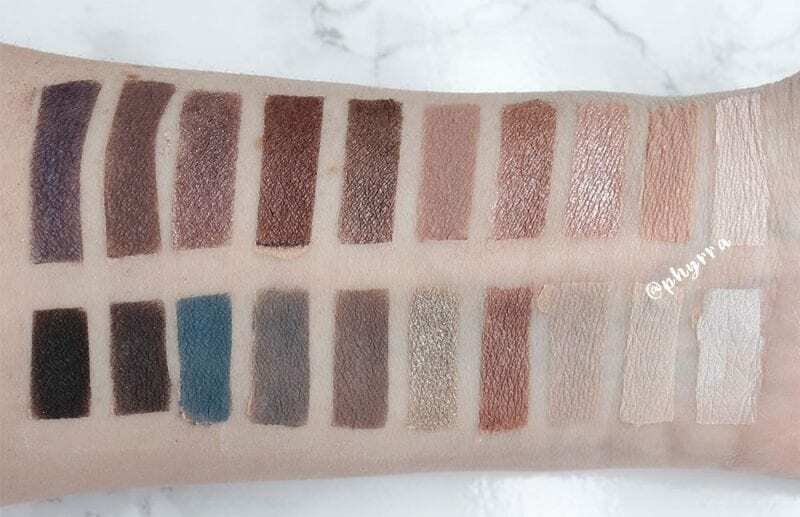 Thank you for swatching all of these, Courtney!